I've been making this site for a while now but just moved it from local hosting to external host so that is no longer down when I turn off my computer. 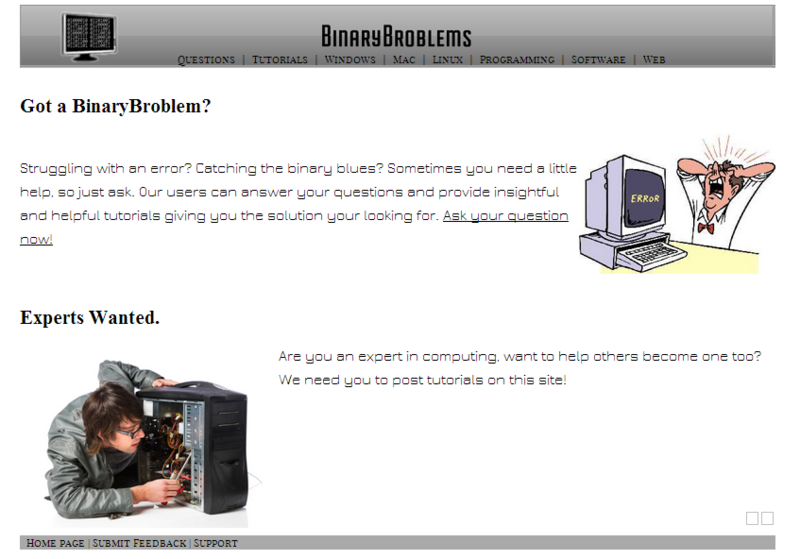 It's I website about computer tutorials, which anyone can submit for other users to read. What do you think? I haven't got many tutorials yet either, if you could submit some that would be great! I have to agree with BikerEcho, I don't like the font on the front page either.. The font is not good. None of the other pages work.